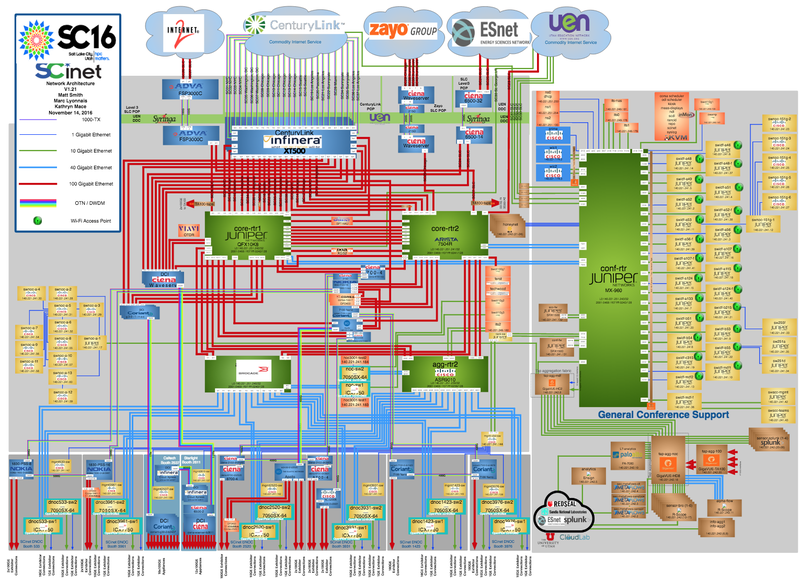 The chart was generated from industry standard sFlow telemetry from the switches and routers comprising The International Conference for High Performance Computing, Networking, Storage and Analysis (SC16) network. 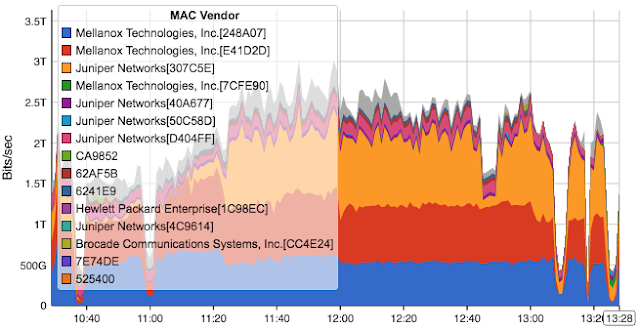 The chart shows a number of conference participants pushing the network to see how much data they can transfer, peaking at a combined bandwidth of 3 Terabits/second over a minute just before noon and sustaining over 2.5 Terabits/second for over an hour. 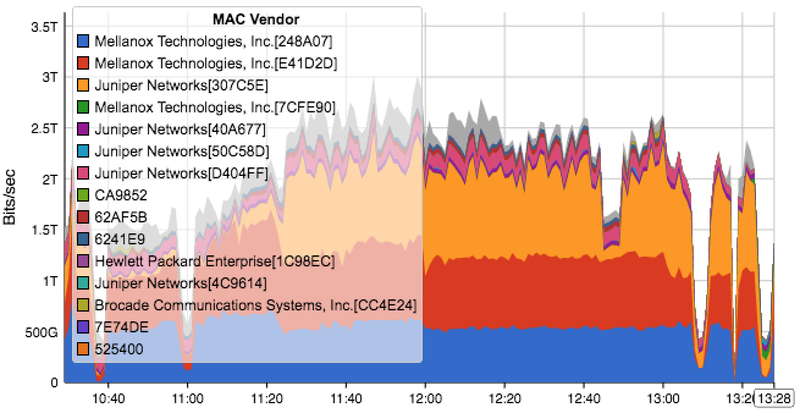 The traffic is broken out by MAC vendors code: routed traffic can be identified by router vendor (Juniper, Brocade, etc.) and layer 2 transfers (RDMA over Converged Ethernet) are identified by host adapter vendor codes (Mellanox, Hewlett-Packard Enterprise, etc.). SC16 live real-time weathermaps provides additional demonstrations of high performance network monitoring.